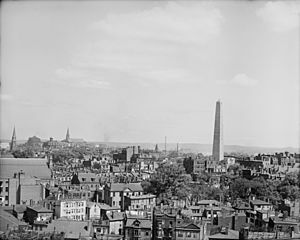 Charlestown became a city in 1848 and was annexed by Boston on January 5, 1874. With that, it also switched from Middlesex County, to which it had belonged since 1643, to Suffolk County. It has had a substantial Irish American population since the migration of Irish people during the Great Irish Famine of the 1840s. Since the late 1980s the neighborhood has changed dramatically because of its proximity to downtown and its colonial architecture. A mix of Yuppie and Upper-middle class gentrification has enhanced much of the area, as it has in many of Boston's neighborhoods, but Charlestown still maintains a strong Irish American population and "Townie" identity. In the 21st century, Charlestown's diversity has expanded dramatically, along with growing rates of the very poor and very wealthy. 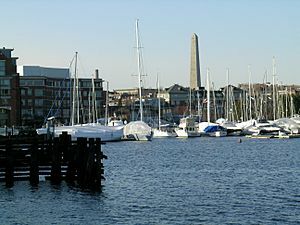 Today Charlestown is a largely residential neighborhood, with much housing near the waterfront, overlooking the Boston skyline. Charlestown is home to many historic sites, hospitals and organizations, with easy access from the Orange Line Community College stop or I-93 expressway. The territory of Charlestown was initially quite large. 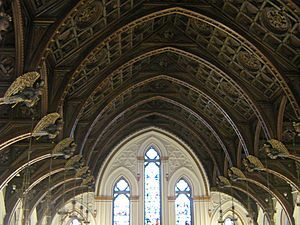 From it, Woburn was separated in 1642, Melrose and Malden in 1649, Stoneham in 1725, and Somerville in 1842. Everett, Burlington, Medford, Arlington and Cambridge also acquired areas originally allocated to Charlestown. 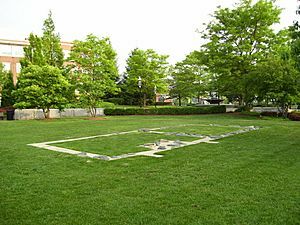 On June 17, 1775, the Charlestown Peninsula was the site of the Battle of Bunker Hill, named for a hill at the northwest end of the peninsula near Charlestown Neck. British troops unloaded at Moulton’s Point and much of the battle took place on Breed's Hill, which overlooked the harbor from about 400 yards off the southern end of the peninsula. The town, including its wharves and dockyards, was almost completely destroyed during the battle by the British. The town was not appreciably rebuilt until the end of hostilities but, in 1786, the first bridge across the Charles River connected Boston with Charlestown. An 87-acre (35 ha) Navy Yard was established in 1800; Charlestown State Prison opened in 1805. 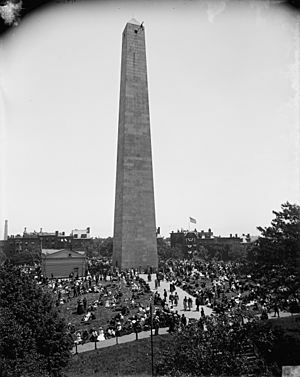 The Bunker Hill Monument was erected between 1827 and 1843 using Quincy granite brought to the site by a combination of purpose-built railway and barge. 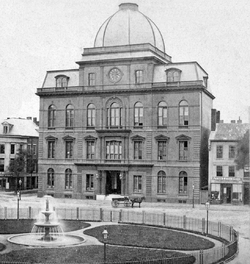 Notable businesses included the Bunker Hill Breweries (1821) and Schrafft's candy company (1861). Throughout the 1960s until the mid-1990s, Charlestown was infamous for its Irish Mob presence. Charlestown's McLaughlin Brothers were involved in a gang war with neighboring Somerville's Winter Hill Gang, during the Irish Mob Wars of the 1960s. In the late 1980s, however, Charlestown underwent a massive Yuppie gentrification process similar to that of the South End. Drawn to its proximity to downtown and its colonial, red-brick, row-house housing stock, similar to that of Beacon Hill, many Yuppie and upper-middle class professionals moved to the neighborhood. In the late 1990s, additional gentrification took place, similar to that in neighboring Somerville. One of the oldest neighborhoods of Boston, Charlestown is home to the Bunker Hill Monument and historic Charlestown Navy Yard. Charlestown today is a mainly residential neighborhood with an institutional presence. Major institutions include Bunker Hill Community College, Spaulding Rehabilitation Center, and a facility of Massachusetts General Hospital. The Navy Yard is now a popular national park that marks the southern edge of the neighborhood. The waterfront has two marinas, Constitution Marina and Shipyard Quarters Marina. According to the Census from 2010–2014, 53.7% of the population will drive to work and 30.0% will take a some form of public transportation to get to their jobs. Charlestown is accessible by several forms of public transportation, including train, bus and ferry. The train transportation is the MBTA Orange Line. The major stop is Community College, located near Bunker Hill Community College. The 93 bus goes from Sullivan Station, downtown via Bunker Hill Street and Haymarket Station. The 92 bus runs from Assembly Square Mall, downtown via Sullivan Square Station, Main Street and Haymarket Station. Charlestown is also accessible via the Charlestown Navy Yard Ferry Terminal. Oxy-Morons (2010), an independent film about OxyContin abuse and Johnny Hickey's life in Charlestown. Charlestown, Boston Facts for Kids. Kiddle Encyclopedia.